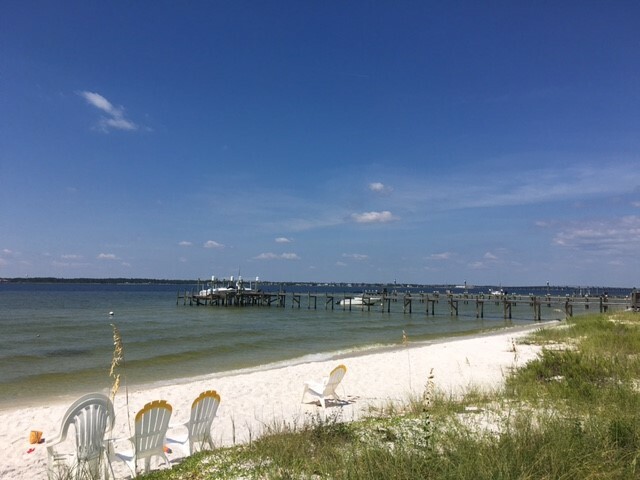 Escape to the Gulf Coast and enjoy fabulous views of the Gulf of Mexico from the stunning condo rentals in Pensacola Beach‘s La Bahia! Spanish for “The Bay,” La Bahia vacation rentals are the perfect place to relax, unwind and getaway. 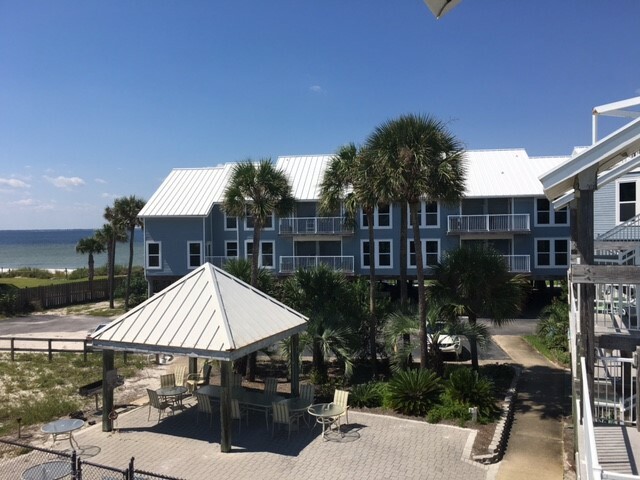 These two-story villas are nestled between the Santa Rosa Sound and the Gulf of Mexico, offering two expansive views of sugar-white sand and an endless sea of blue. Between the views and the atmosphere, the location at La Bahia truly is one-of-a-kind. Whichever La Bahia condo you choose, you will find these cozy two bedroom condos packed full with all of the comforts of home. 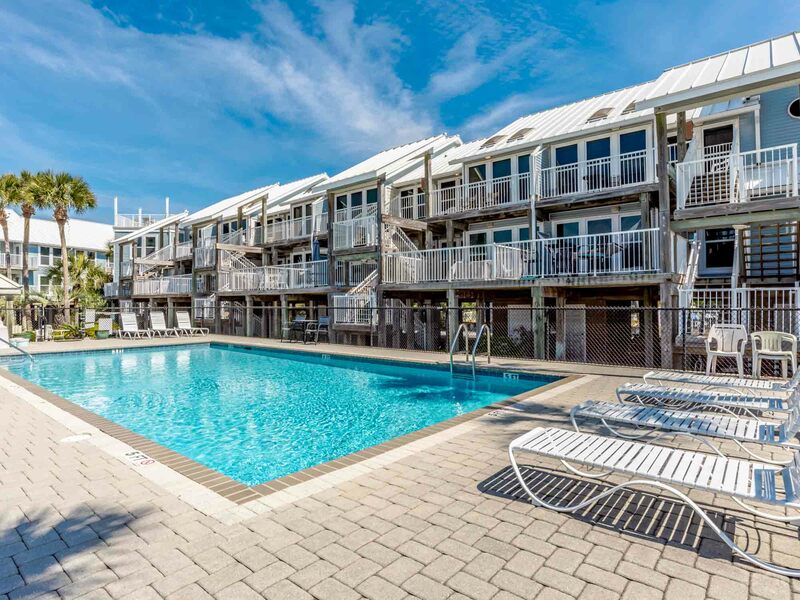 The onsite community pool only adds to the community’s wow factor. 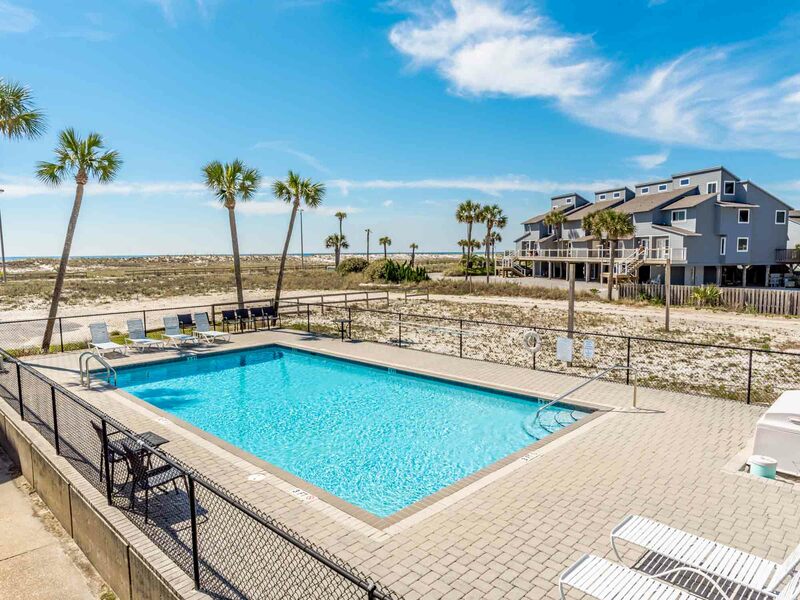 With a large surrounding deck and endless views of the area’s sand dunes, this is the perfect place to rinse off after a day of fun in the sand. Clean up and head out to explore Pensacola Beach! When you book La Bahia, you are quietly tucked away from the hustle and bustle of daily life, but close enough to experience all the incredible things Pensacola Beach has to offer. From boating, fishing and paddle boarding to golfing, shopping and dining, there is never a shortage of things to do! Just hop on the free Pensacola Beach Trolley and travel to the hub of the island to spend your day like the locals do. Reserve your Pensacola Beach vacation condo at La Bahia and start planning the trip of a lifetime! 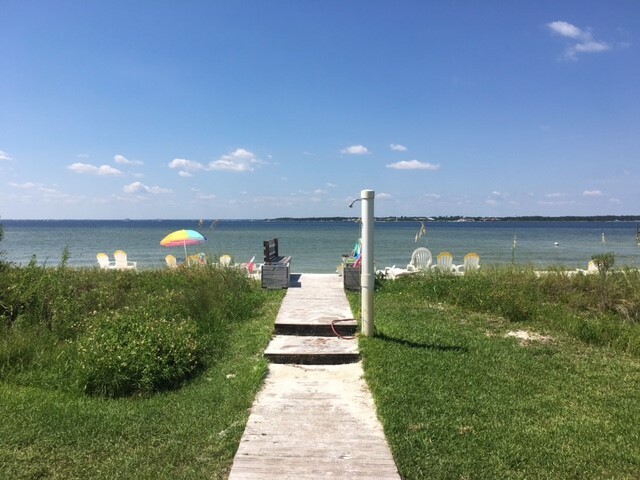 La Bahia #124 is the perfect place to get away! 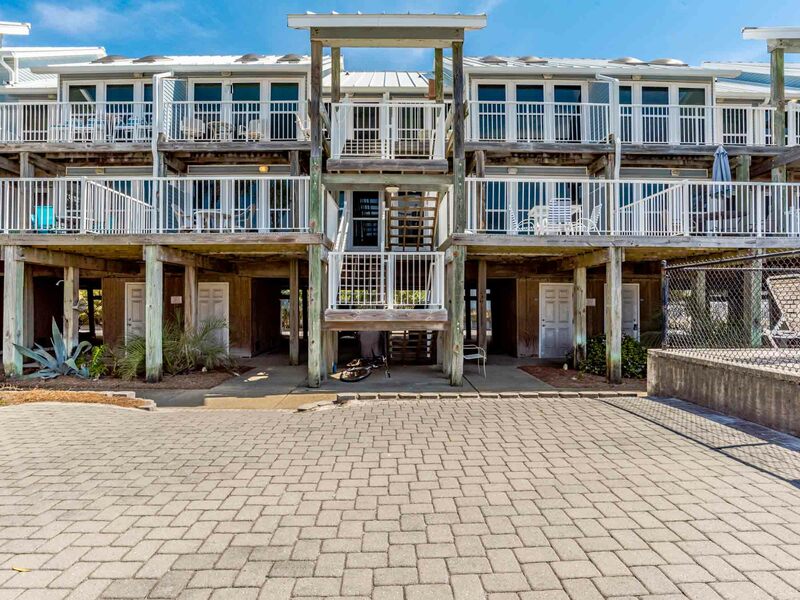 Studio in style, this charming Pensacola Beach vacation rental offers stunning views of the sound and partial views of the Gulf of Mexico. 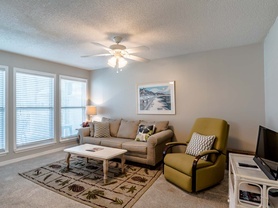 This two bedroom Pensacola Beach vacation rental at La Bahia is the perfect place for families and couples to getaway. With partial Gulf views and sound side views, La Bahia #125 is poised to offer you a one-of-a-kind vacation experience above all else!